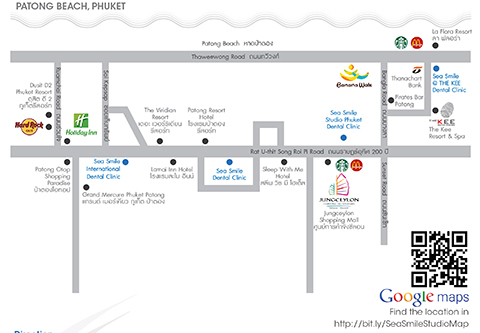 Dental Clinic Phuket At PhuketSmileDental in Patong. At Smile Studio Phuket, Thailand we provide ultimate dental services in Thailand. All services are taking care by dental specialists equipped with modern equipment for your confidence and to provide the best service. 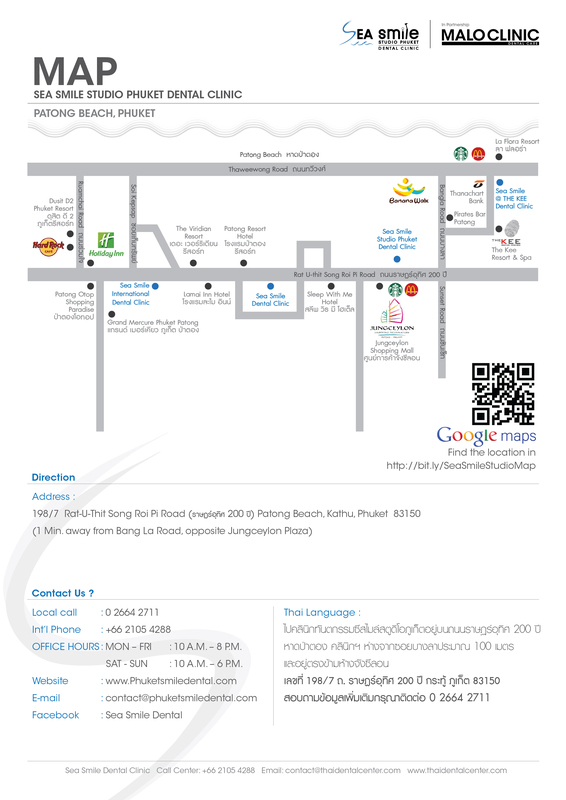 Located at Patong beach of Thailand with 4 dental rooms and equipped with most up-to-date technology and uncompromising sterilization methods. Be it a routine check up, Invisalign or a complex Full Mouth Dental Implants, Dental Extreme Makeover, laser tooth whitening, we know how to exceed your expectations. Creating beautiful and healthy smile is our important mission. Our team of experienced dentist at PhuketSmileDental.com, Thailand takes pride to present the world class dental Phuket, Thailand. We offer the perfect combination of the cutting edge of dentistry and the most comfortable dental treatment while maintaining the strictest sanitary and sterilization technique. The optimum dental health for you through exceptional service and cosmetic dentist’s commitment to excellence available in Thailand at PhuketSmileDental.com. International sterilization standards are ensured with all dental equipments autoclaved and maintained using CE certified sterilization units. “ Great Smiles Start Here! ” It is our goal to create patients' ideal smiles during their visit to Thailand. As Thailand is know as the “Land of Smiles” during your visit with us, we will give you plenty of reasons to smile more and help ensure your time spent in the paradise is as enjoyable as possible. We have negotiated exclusive rates and discounts for you at our partnered hotels, tours, transportation, and much more. You will have very nice vacations while having yourdental treatments done.